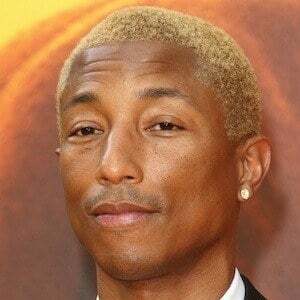 Singer, rapper and music producer who is one half of the record production duo The Neptunes and the lead vocalist of the hip hop band N.E.R.D. He was nominated for an Academy Award in 2014 for penning the song "Happy" for the film Despicable Me 2. He played in the high school band. He won a Grammy Award with Ludacris in 2007 for Best Rap Song for "Money Maker." He was born to parents Pharoah and Carolyn Williams and has two younger brothers: Cato, a professional skateboarder, and Psolomon. He married Helen Lasichanh in 2013 and he has a son named Rocket Ayer Williams. They couple had triplets at the end of January 2017. He worked with Adam Lambert in 2011 on the music album, Trespassing.